Portrait format. Colour (not essential). 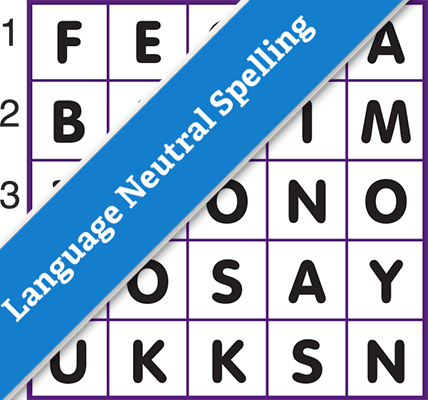 Anagram puzzle using Language Neutral spelling. 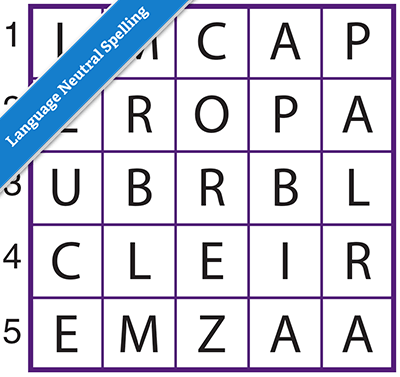 Rearrange the letters in each row to form a word. Write your answers into the blank grid. The first letter from each word, reading down, will spell the solution word.